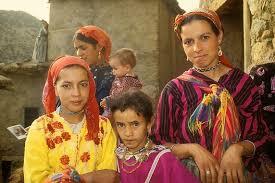 The Moor (world-wide population 4,235,100) are originally from North Africa. They are proud of their Arabic ancestry and retain its Islamic influence which varies between the terrorist Quidari and the more peaceful Jajani. Their language is Hassaniya Arabic. They have no Scripture or known missionaries. In 711 AD, the Moor invaded and conquered Spain. They contributed so much knowledge during their several hundred year reign that Europe made great strides in education and the sciences. The Moor were driven from Spain during the Inquisition and scattered throughout North Africa and Europe. Today, they have no land of their own but live in eleven different countries. There are four class divisions within a Moor community: upper class black, upper class white, lower class black, and lower class white. These classes have nothing to do with color or race. The lower classes are simply poor and under slavery to the upper classes. However, if a lower class marries into an upper class, the lower class is raised to the higher status. Traditionally, Moors are nomadic and live in rectangular tents made of woven wool. Depending on where they live, Moors are also farmers, tradesmen, or traders. Please pray for someone to preach Christ to the Moor. Pray that they will be receptive. Also pray that those receiving Christ will have the boldness to share Him with others.